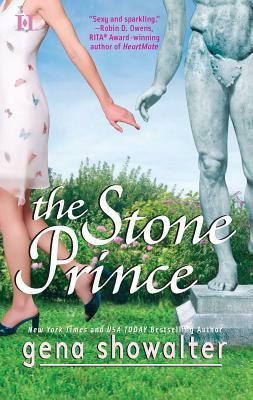 Katie James is unlucky in love--so unlucky she's been reduced to kissing the marble statue in her own garden. But her luck changes when the statue warms to life in her arms--and turns out to be a hunk straight out of any woman's fantasy! Well, almost...Jorlan en Sarr hails from a distant planet and like all the other men Katie's known, he comes with a lot of baggage. Entombed in his stony skin for centuries, Jorlan has been waiting for a maiden fair to break the spell. Yet this statuesque beauty with the will of an Amazon and kisses like flame is a far cry from the obedient damsels of Imperia. And though Jorlan is tempted to abandon all for the sake of Katie, unless he can convince her to give him her heart in two weeks' time, he'll be turned back to stone. And she'll be lost to him forever.